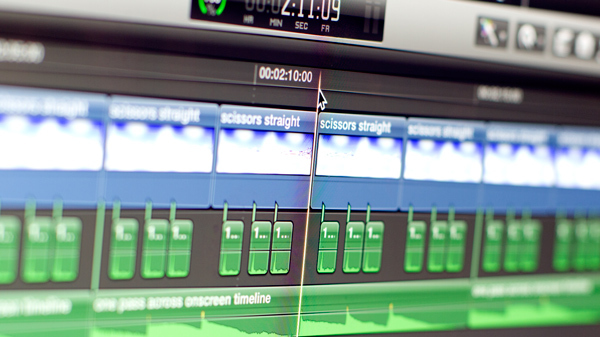 When editing a drama, you're likely to be working from a script and sometimes a storyboard. The scenes will have a purpose, with fairly fixed action or dialogue. Your job is to look at what was actually filmed and see if you can make it work in the way it was intended. If it doesn't, forget about the script and make the best of what you have. The director has fought hard to get the footage. He or she chose the shots, coached the actors and has imagined the film over and over in his or her head. If the director has done a good job, you will have different angles on a conversation, close-ups and wide shots of the same scene, various takes, cut-aways, etc. All this makes for a happy editor. It gives you more freedom to choose from. You look through the different takes of each shot, choosing the best one. You decide, during the heartbreaking climax, whether to show more of the little girl or the puppy and make changes to the structure to make the film flow. Usually with a documentary, the structure is not so fixed. Though there may be a basic structure, a voice-over or an outline, there will be lots of sequences that couldn't be planned. Don’t try to start at the beginning and continue to the end. Make up stand alone sequences. This is where your scene cards really come into play. Then gradually put your separate sequences together to make sense of your story. You will also have to go through a lot of interviews. These are sometimes transcribed and printed for ease of reference. This allows you to do a paper edit, a little like using scene cards. Any tools like these can prove invaluable. Quite often you will use interviews to tell your story, but eventually will cover the interviewee shots with other footage that shows the subject better. But look out for any time that the interviewee expresses real emotion, as sometimes having these moments on screen can be very powerful, adding the ‘human’ element to the film. Sometimes there is up to one hundred times more footage than will appear in the final film. The key to working successfully on documentary is in the management of the footage. For ease of filing and finding, clips can be duplicated and live in more than one folder. For instance, a clip might be in the exterior house folder, but also be attached to a character’s folder. Animation works in the opposite way to documentary: because it takes so long to create, very little will have been shot that doesn't end up in the film. Indeed, the problem with animation can be not having enough of anything. Be inventive, learn about loops, holds, and ping pongs, which can save your film. Frequently, the entire soundtrack is recorded before the animation, and the pictures are then created (and timed) to fit. The challenge is then to get the pictures perfectly aligned with the sound. If the pictures are recorded first, putting them together shouldn't take too long. The main challenge in this case is to fit the voices and effects to all the actions.